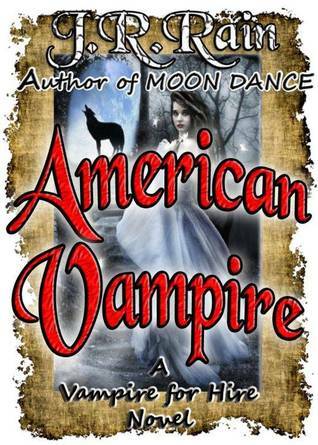 Now in AMERICAN VAMPIRE, sequel to VAMPIRE MOON, private investigator Samantha Moon receives a heartbreaking phone call from a very unlikely source: a five-year-old girl who's been missing for three months. Now on the hunt, Samantha will use her considerable resources - including her growing supernatural abilities - to locate the missing girl before it's too late. And as she gets closer and closer to the horrible truth, she receives devastating news on the home front. Now with her world turned upside down, Samantha Moon is forced to make the ultimate choice of life and death. And through it all, she discovers the identity of one mysterious man...a man she has grown to love. The third book in the American Vampire Series was really good! I've really enjoyed seeing Samantha change and grow throughout this series. Her supernatural abilities have grown so much since the first book and it's been very interesting to see where it's leading her. In this book we finally get to see who Fang is, although I'm still not sure what to think of him. I don't know where things are going to go with the two of them. Her relationship with both Fang and Kingsley is a little murky and it's hard to tell what is going to happen relationship-wise with them. Also, Sam is trying to find and save a missing child from an evil man. Her son gets extremely sick and she has to make a very tough decision. This was a really emotional book for me, it was hard to see Sam struggle with the decisions she had to make. Being a mom too, I could feel her pain and indecision as if it were my own. The story was interesting and I stayed up late yet again to finish this book and I wasn't disappointed. The story moved right along and kept me interested the whole time. It was emotional, funny and all around good!